The detector was a Nal(Tl) scintillation crystal measuring 10 cm of diameter and 5 cm thick with a sensitive area of 75 cm, surrounded by a well-type guard crystal, also of Nal(Tl). The phototube viewing the central crystal is connected via anticoincidence circuitry to a 128-channel pulse-height analyzer, while the phototubes viewing the guard crystal supply the anticoincidence pulses. At left we can see an scheme of the system flown (click to enlarge). Non-rejected pulses from the central phototube are pulse-height analyzed, and the resulting seven-bit word which represents the pulse's channel number is put into a register for immediate transmission to the ground station. Two additional registers provide temporary storage when the first is occupied. The purpose of the active shielding surrounding the central crystal is threefold: to provide directionality of response, to suppress the Compton continuum and X-ray escape peaks (which would otherwise appear in the pulse-height spectrum), and to prevent contamination of the data by unwanted radiation types, such as charged particles. There is a 4-inch thick shield of plastic scintillator in front of the central crystal to detect charged particles entering the detector and prevent their being counted as gamma rays. 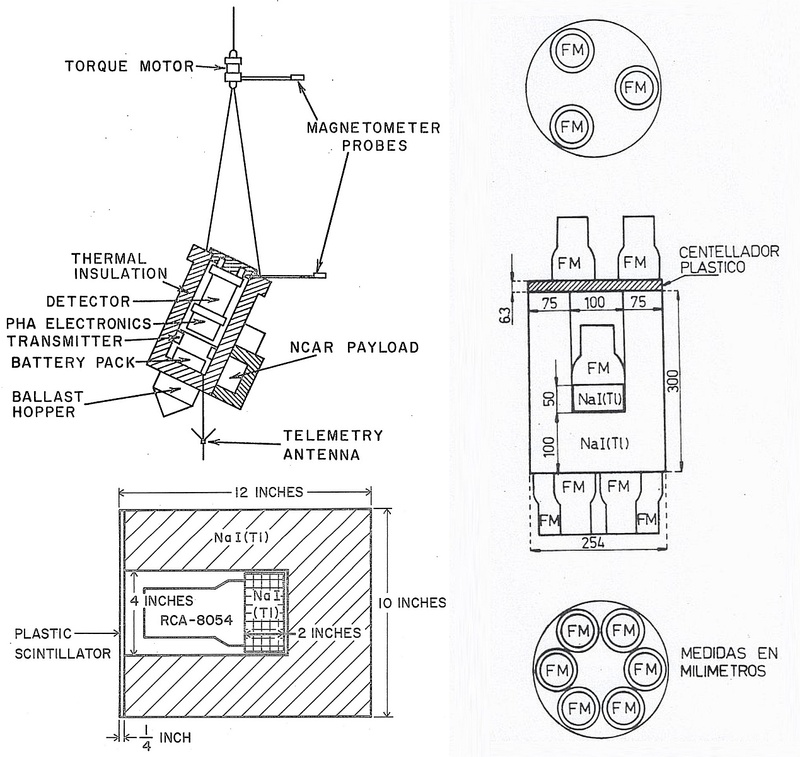 Three Schonstedt flux-gate magnetometers were used on the payload to determine the orientation of the detector in the horizontal plane. One was used to drive a servo system for pointing the system in azimuth, and the outputs of the other two were transmitted to the ground. 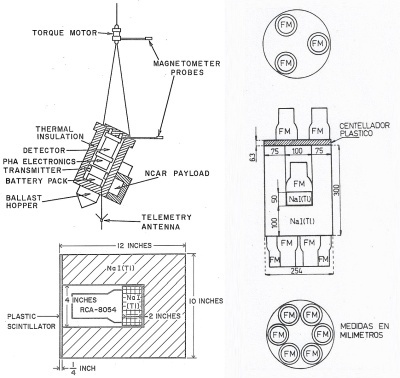 These two were called the "parallel" and "perpendicular" magnetometers according to their orientations with respect to the servo magnetometer. All were mounted horizontally, and as far from ferrous materials as was practically possible. 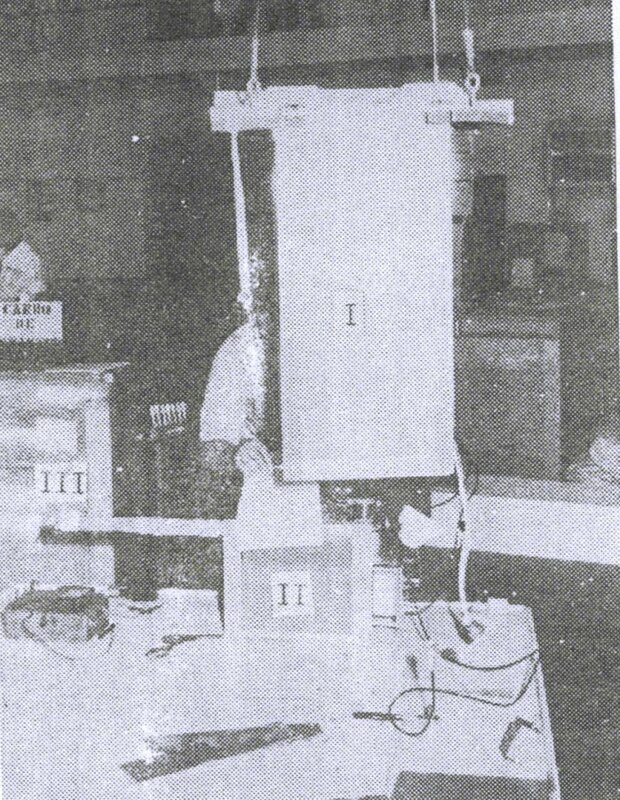 A three-channel FM/FM telemetry system was used. The telemetry data was recorded throughout the flight on a half inch magnetic tape, by means of a CDC recorder. Each of the three subcarrier channels and the FM/FM signal itself were recorded, as was a time signal from WWV short wave time standard station transmitting from Ft. Collins, Colorado. In addition, the commutator and parallel magnetometer channels were recorded on a Sanborn strip-chart recorder. 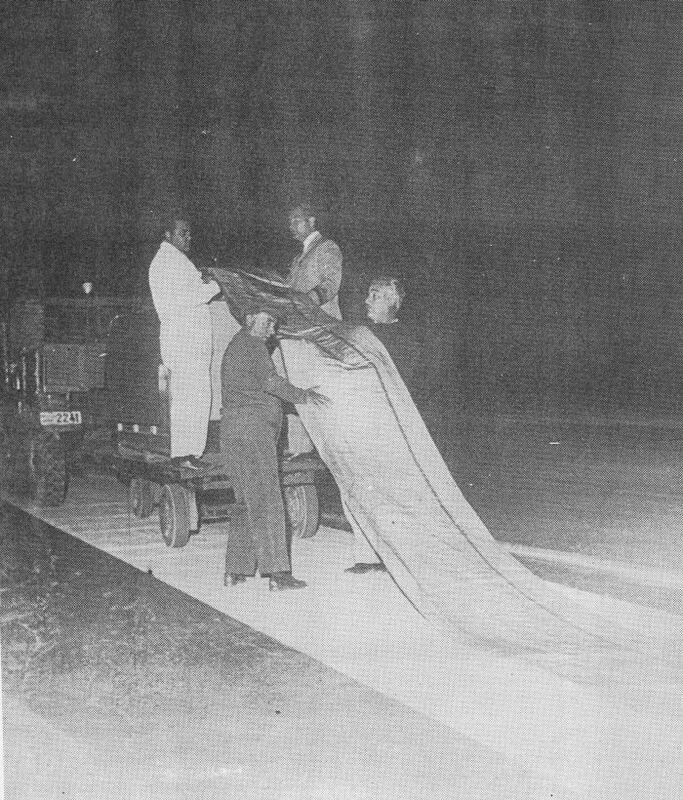 The release of the 6 million cubic foot hydrogen-filled balloon from Parana, Entre Rios, Argentina occured at 6:30 local time, November 26, 1969. 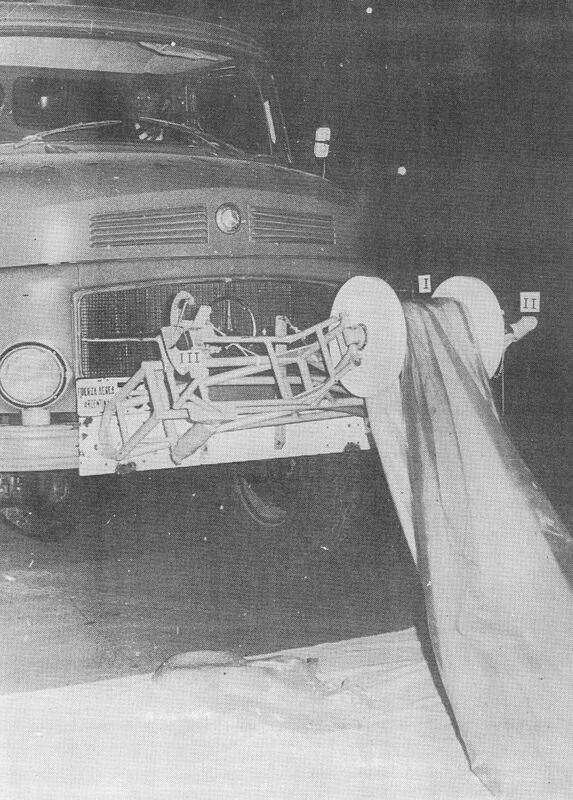 The lack of a motorized launch vehicle required the use of the anchor line launch method. 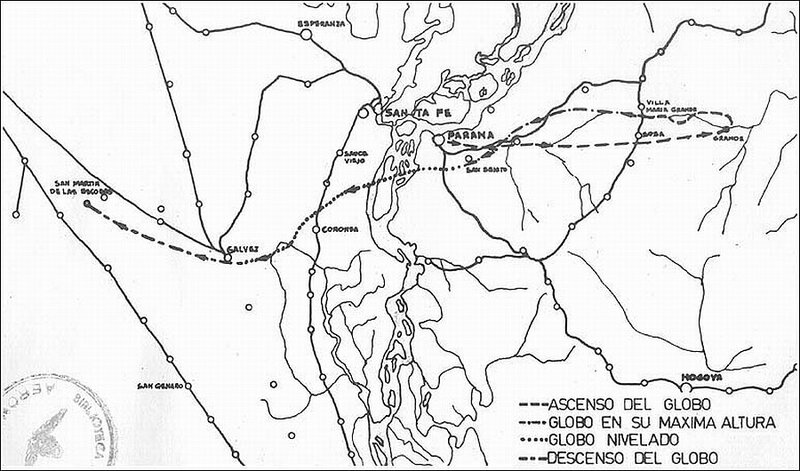 Upon release, the balloon's ascent pivoted from the end of a long anchor line. 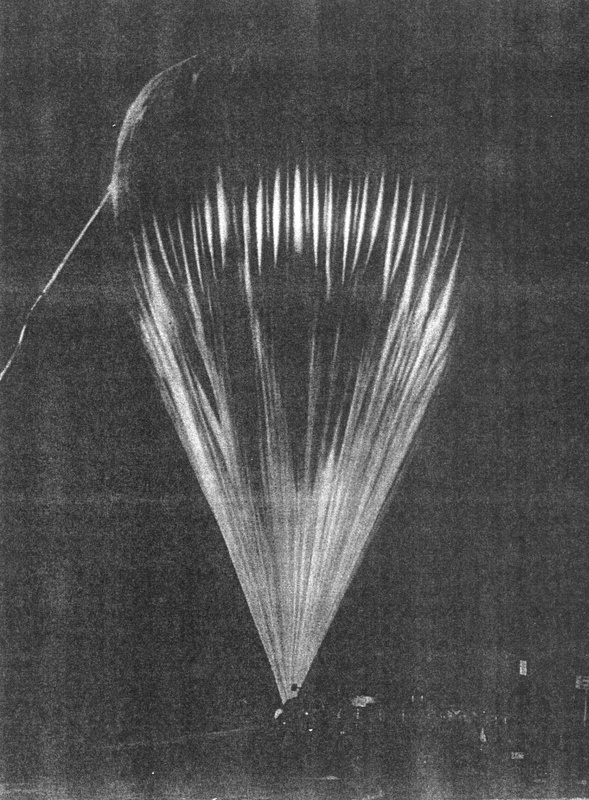 Launch personnel positioned the scientific payload, keeping it directly under the balloon as it pivoted upward. After the payload had left the ground, the anchor line was released from the balloon and the launch procedure was complete. The payload rose to float altitude (~130,000 feet) by 8:20 local time. It then reversed its eastward drift, and floated westward until it was cut down by command from the ground about seven hours later. The payload was recovered near the small town of San Jorge, Province of Santa Fé. The purpose of the experiment was to measure the flux of hard X-rays and gamma-rays from two sources: a new source in Centaurus, and Sco X-l.